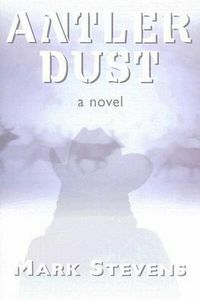 Antler Dust by Mark Stevens, a Mysterious Review. Review: Mark Stevens' debut thriller, Antler Dust, chronicles a few weeks in the lives of hunters and their guides. It is elk and deer hunting season in Colorado with hunters swarming to the Rocky Mountains to nail their big one. Two men are shot on that first day. Rocky Carnivitas, a guide, is deliberately killed for reasons known only the killer. Rocky is pulled away from the site of the shooting and put under a tree in the snow. Only one problem: from a distance, and through a heavy snowfall, new guide Allison Coil witnesses what she thinks is someone dragging an animal or a body through the heavy snow. Then there is a suicidal hunter, Ray Stern, who believes if he were killed the animal rights people would have more fodder. His group, FATE (Fighting Animal Torture Everywhere), is on the ground protesting. Ray goes up into the mountain, wraps himself in deerskin, and waits for a hunter. When Dean Applegate sees what he thinks is a deer, he shoots and kills Ray. Frightened, Dean runs down the mountain and joins the protesters saying he could not take the killing of any more animals. Allison tells the sheriff what she thinks she has seen, but when she gets no response from him, she tells the park ranger who is also skeptical. When Rocky does not return to the camp for four days, they begin to listen to her. The question becomes, why was Rocky killed and by whom? But the answer is obvious. Antler Dust is a tiresome novel in that there is no mystery. Every time a person is hurt or killed the reader knows who did it and why. Much of the story is repetitive and it becomes apparent what is going to happen next. There is no thrill of the hunt, metaphorical or otherwise, in this book. Special thanks to guest reviewer Betty of The Betz Review for contributing her review of Antler Dust. Acknowledgment: Breakthrough Promotions provided a copy of Antler Dust for this review.